Last week saw KL abuzz with excitement as KL Fashion Week descended on it. With it came a slew of local designers, wildly varied styles, bold fashion statements, and all the glitz and glamour you could hope for. 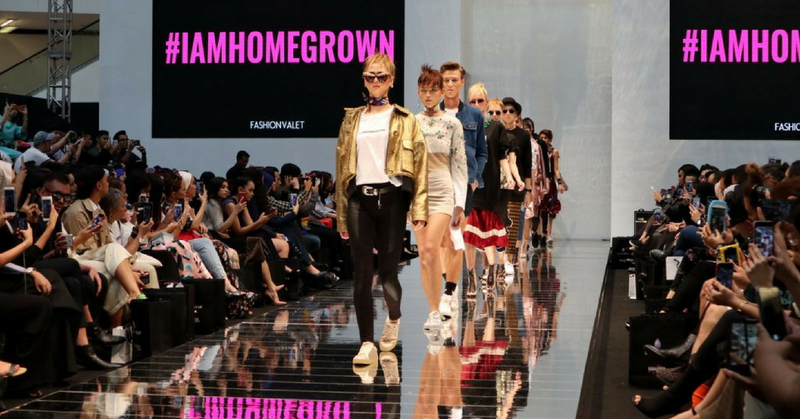 So let’s take a quick look at five of our top highlights from KL Fashion Week. Join us as we take a journey through the world of beauty and fashion, but with a local twist! When famous local stylist and fashion icon, Min Luna joined forces with Fashion Valet, everyone knew something special would come from it. What they expected were beautiful and unique outfits, but the audience had their expectations exceeded by the models showcasing them. Opening the show, and introducing the collection was local feminist and plus size model Nalisa Amin. As she strode confidently down the runway as the first plus size model to both open a show and open KL Fashion Week, one couldn’t help but feel like the winds of change in the local fashion industry were beginning to blow. Nalisa was followed by models of different sizes, ages, complexions, and skin types, re-enforcing the the bold statement that fashion was for everyone. From making Frappuccinos for fans and customers at Starbucks to striding down the runway of KL Fashion Week, local actress, model, TV personality, and influencer Noor Neelofa Binti Mohd Noor is having a very busy month indeed. Neelofa strode proudly down the runway in a body hugging high-slit dress with leggings, knee-high boots, a turban and a thick coat over her shoulders to cap the look off. She looked absolutely stunning as she walked down the runway as a guest model for the Melium Group. Since its launch, the popular streetwear brand, Nerd Unit has consistently brought their customers and fans bold pickings from both Japanese streetwear and military-inspired designs. This year’s KL Fashion Week was no different. When they took to the stage, they showed off all kinds of new outfits, accessories, and looks that will immediately be familiar to fans, but with new twists to keep them fresh and interesting. With their bold splashes of colour popping from black and quirky use of accessories, Nerd Unit continues to be a strong force in the local fashion world. The local actress, singer, TV host, and entrepreneur recently made headlines in a contest by McDonald’s where she and husband Fattah Amin delivered McDelivery to lucky winners. After all that, she still managed to find time to showcase the latest from her Fazbulous collection. With bright colours and different patterns on display, Fazbulous delivered outfit after outfit that showcased local talent at its best. They also were part of the body positivity movement, showcasing models if different body types. As mentioned before, Fazura really brought it in terms of her Fazbulous line this KL Fashion Week. But the best surprise was left for last; her models ‘collapsed’ on stage to make way for the actress, making her victory lap. The staged performative spectacle came as a shock and had many individuals, both present and observing online buzzing with excitement. Videos of her finale promptly went viral and she has been receiving compliments from fans and well-wishers since for her creativity and boldness. So there you have it, dear readers! Were you excited to see some of your favourite local brands and designers on display? Were you delighted by Min Luna’s #NotFragile? How about Fazura’s showstopper of an ending? It’s been a very exciting week for local fashion and beauty enthusiasts for sure. We can’t wait to see how they top this next year!